AllHipHop got the chance to catch up with multi- platinum producer Amadeus for an exclusive look at his role as Trey Songz’ Music Director. BadBoy Hitmen Producer Antwan “Amadeus” Thompson is the brain of musical organization for Trey Songz performances, live and in studio. As seen on BET’s My Moment With Trey Songz, Amadeus is also the lead drummer in Trey Songz’ band. The multi-talented musician and director doubles as a record producer for Diddy At BadBoy, as well as the CEO of Platinum Boy Music. Amadeus has supplied the beats behind mixtape hits “I’m Raw” off of Fabolous’ There Is No Competition, “Ill’in” by Jeezy and The Clipse on Trap Or Die 2, and we even caught a peek of Amadeus on T.I’s F#ck A Mixtape . AllHipHop: You were recently on the set of BET’s My Moment with Trey Songz. How was the experience of making your live show even more live? Amadeus: I think the show was a really good look, it was something different. It was a good experience to be behind the scenes and watch the cameras put a little more pressure on us. TV and editing added even more to the show. You know reality TV has taken over. It allowed people to see how it really is for us on tour, without a script. AllHipHop: Tell us about your recent tour schedule. Amadeus: Well the “Passion, Pain, and Pleasure (PPP) Tour closed with two sold out nights in New York, and then we had a month off. We’re on the 35 U.S. city “OMG” Tour with Usher now, we’ll be in Miami for New Year’s Eve. After that, we go overseas for the international leg of the tour. We’ll be gone two to three months. AllHipHop: For those who didn’t catch you on BET, tell us about your position as Trey Songz’ music director. Amadeus: Well as a music director I’m in charge of every musical aspect in regards to preparing for a performance, whether it’s a show or on tour. I sit down with Trey and we go over the vision he wants to portray. I direct the image of the musicians, song selection and whether half or the whole song will be played, sound… every musical aspect of a show. I meet with the engineers and make the major decisions necessary to keep shows the appropriate length. For the “PPP” Tour, Trey did 10 songs, whereas at a smaller show at Target or Rocawear, he might perform three or four songs. AllHipHop: How does being a drummer in the band affect your music direction? Amadeus: I think drumming is kind of the fun part of it all. It’s fun to be part of the band that’s making it all happen. I’ve been playing drums for 15 years, it was my first love and passion. I actually had aspirations of being a rapper, I think every producer or DJ always starts as a rapper. I was schooled by my colleagues on the glitz and glam of being an artist, but no money! I picked up the drums and started creating beats, and I really like how producing allows you to build. I get to take a beat and build an entire song around it and a melody. Amadeus: Well I was sitting by myself in ASCAP, and needed a name for my production credentials. I’ve always been terrible at coming up with names, but I planned to just pick something and go with it. I figured I wanted my records to go platinum, and I’m a boy….Platinum Boy, which became my production company. As CEO I have artists and producers keeping my company afloat and thriving. AllHipHop: And who are some of the artists on your label? Amadeus: Our vocalist, songwriter, and we call her “The Angel of R&B” is a young lady named Tiffany Mynon. She’s had an incredible life, confronting the challenges of a young Harlem girl. Tiffany was determined to make it through tough situations and is enjoying living her dreams, singing background vocals on tour with Jay-Z, Talib Kweli, Kelis, Erykah Badu, and Musiq. 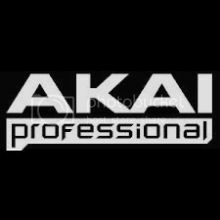 AllHipHop: And of your production credits? You had a spot on T.I’s last F*** a mix-tape. Amadeus: I’m blessed. I’ve been working a long time. I sat down to count the other day, and I have worked with over 50 R&B pop artists in 15 years. I’ve made a historical amount of records. I haven’t had my SMASH hit yet, but its comin‘. I’m so appreciative of my longevity. I got some tracks comin’ up with Tony Yayo, Fab, Keyshia Cole’s album drops this month, Red Café, Jordin Sparks, Young Jeezy, Kay Slay, Nado, and Papoose. I did this record for The Game, its too real. AllHipHop: So what’s next for Platinum Boy? Amadeus: I’m excited about expanding creatively after traveling and the tours. I cant wait to get back home and create. Trey Songz Stops To Enjoy "The View"